Who really wants to waste ammo killing a squirrel when you can use a slingshot? Whatever your age, you’ve probably had the urge to kill a squirrel using a slingshot. 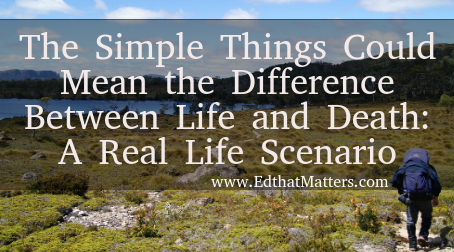 However, in a real survival situation, you will need to be at your best to kill small game like a squirrel. Carrying a slingshot will give you a reliable hunting weapon that you can use to hunt food provided you’re able to use it. To most people, a slingshot is nothing more than a kid’s toy. 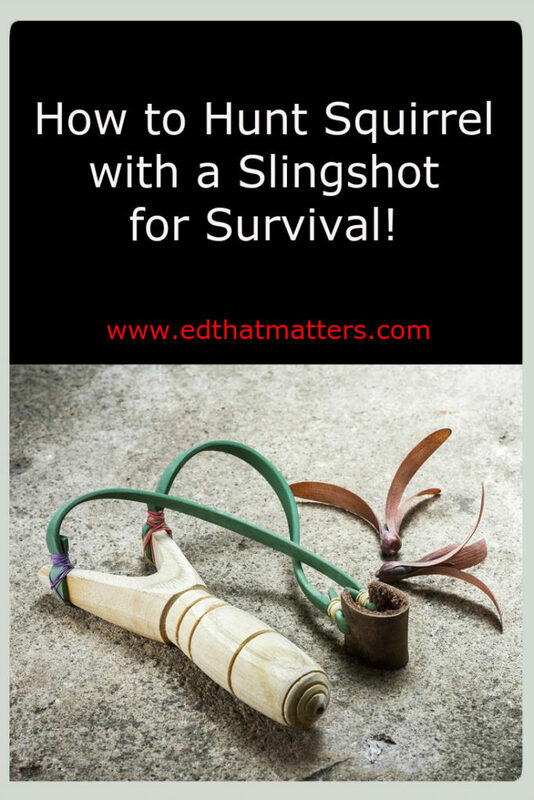 Only real survivalist can recognize and understand a slingshot as a formidable hunting tool. However, when in a survival situation, a slingshot will always come in handy. It is a much easier and convenient option in your pocket rather than a firearm that is heavier. Slingshots are light and can be hung on your neck or placed in your pocket without weighing you down. They are an ideal weapon when hiking or doing something rigorous that does not require some extra weight on you. Slingshots are the best weapons when hunting squirrels that tend to get scared by the slightest of noises. They are stealthier and quiet than guns allowing you to shoot games nearby without scaring them. Squirrels are easy to spot as they raise their heads to scout the area. 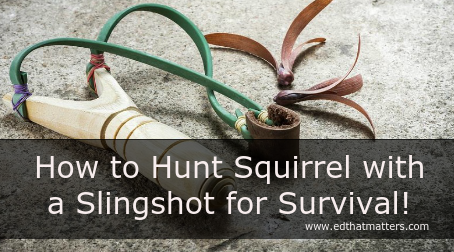 Here are simple steps on how to hunt squirrels with a slingshot. While practicing with a primitive weapon might sound weird to some people, most preppers will tell you it is always important to practice with any weapon. Squirrels are wary, small and fast, something that makes hunting them quite challenging. Choose the best hunting slingshot and practice with cans in your backyard. Practicing to hit a squirrel with the first shot is always important as they will always run away if they think they are in danger. This leads to our next step of where to hit a squirrel and kill it instantly. Shooting with your slingshot might look easy when practicing, but remember you will be shooting very small game in a stealth condition. The slingshot pouch should always be held lightly in the lower grip. However, most beginners tend to hold the pouch too tightly and too high ending up shooting the ammo everywhere. For best results, the slingshot should be held horizontally with the pouch of the slingshot being pulled all the way back to the cheek. Release it at the same time you breathe out. The shape of slingshots never changes, and you should always aim at the center of the slingshot. This means the squirrel head must be in between the center of the slingshot. Squirrels despite their small size have some of the toughest skins. You need to know where to hit them to kill them instantly. A nice shot to the body can cause potential damage, but most squirrels will run away. The experience is not a good one as you will leave the squirrel in pain and also miss out on a chance for delicious meat. Aiming the slingshot at the squirrel is not that simple as you would have imagined. You have still need to aim at the head if the squirrel is to die instantly. You don’t want to be stranded in the wilderness tracking an injured squirrel when you had the chance to kill it instantly. The opportunity to hunt down a squirrel can disappear as fast as it presents itself. There are high chances of squirrels coming to a big producing trees like oak and conifers in the wild than any other place. Your instinct should tell you to hunt for squirrels in certain places, but most expert hunters recommended a big producing oak tree. It is important to know where you can find squirrels. Tree squirrels love trees and hunt during the day unlike other rodents making them the perfect small game to kill with a slingshot. Squirrels like the Gray Squirrel love acorns found on oak trees. Choose a spot that gives you a good view of the oak tree but also keeps you hidden. You will need to be patient and wait for your hunt. 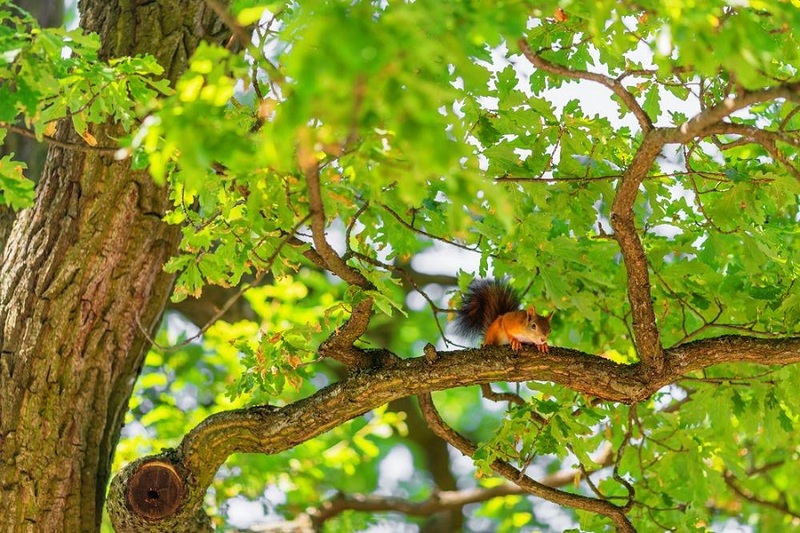 As long as it is not hot, squirrels will always look for food in oak trees. Most squirrels are active at dawn. If you get a good spot some minutes before dawn, then you stand a better chance of getting a kill. You will need to be still and quiet. Squirrels are not the smartest rodents and will always pass by even if they see you. You have to know the best time to get the squirrels searching for food. Early morning and late evening are best times when you’re most likely to find the squirrels. Squirrels are mammals and enjoy nice temperatures just like humans. You can easily find them when the temperature is cool. Baiting might not be allowed in some states, so make sure to check before going ahead and setting bait. 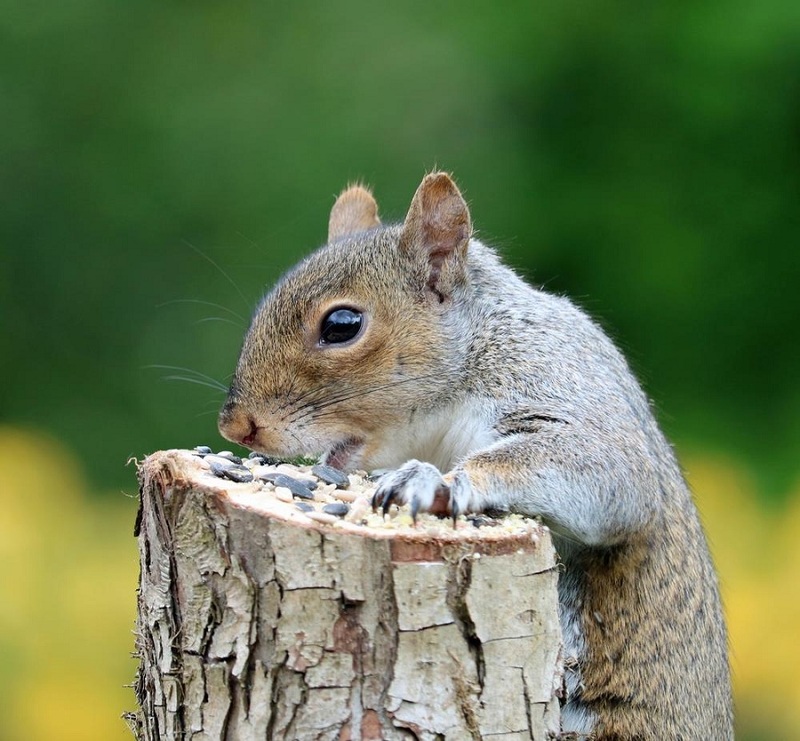 By setting bait, it doesn’t mean getting the squirrel caught up in some bait but being attracted to a position of which you can have a precise kill. Do you have some peanut butter with you? Squirrels love this and will always want to have a lick. This will attract them to a good shooting position from which you can have a precise shot on the head. There you go with your squirrel hunting skills. Squirrels do look simple but are quite difficult to hunt with a slingshot. However, you can’t be wasting precious ammo on squirrels when a precise shot on the head by a slingshot can kill it instantly. Slingshot hunting is quite fun, interesting and challenging. However, with a good understanding of how to use a slingshot, you can always be assured of a meal when stuck in the wilderness. Editor’s Note – I love to watch Lonnie from Far North Bushcraft & Survival. I chose to share his video here because he mentioned that he had only been at “it” (slingshot) for a few weeks. The Pocket Shot: A Modern Slingshot Alternative for Your Survival Pack!